SPACE IS LIMITED TO 16 STUDENTS. ENROLL TODAY! The focus of the program is to explore the organisms of the coastal ecosystems by participating in activities such as fish counts on the reef, seagrass survey, and biodiversity of the coastal reef systems. 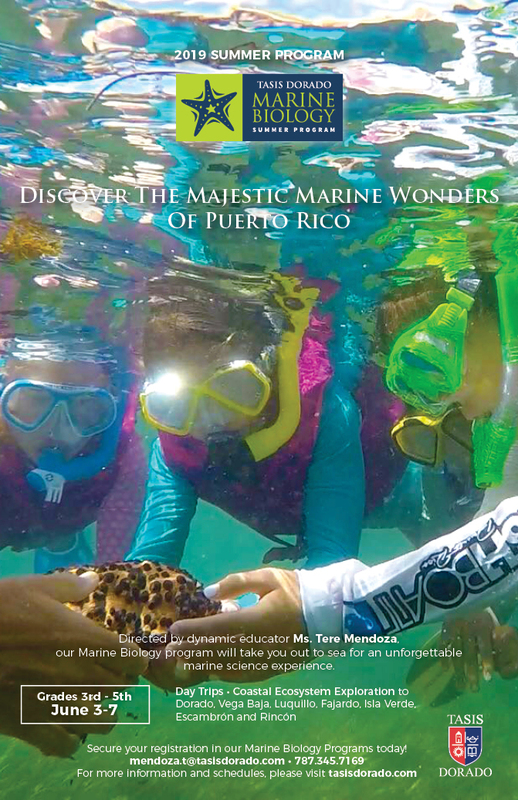 Youngsters will snorkel and swim throughout the week and also have laboratory experiences indoors at the Marine Biology Program at the University of Puerto Rico, Humacao Campus. Directed by dynamic educator Tere Mendoza, our Marine Biology program will be an unforgettable marine science experience. Email Ms.Tere to secure your spot in our program!